Earlier this summer, one of the F-class shooters in our league was trying to diagnose an issue with his new rifle. He was using a reliable load that he had previous success with, but his chronograph was showing some pretty extreme muzzle velocity variation of around 35 ft/s. 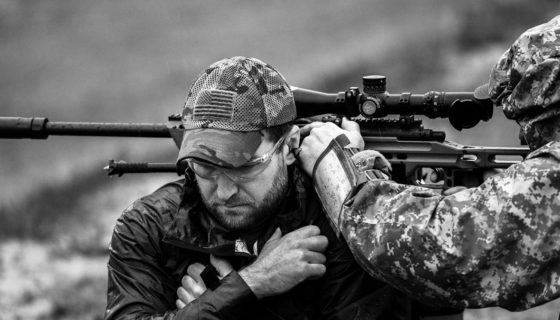 Remembering a SnipersHide article I had read about recoil management technique contributing to inconsistent muzzle velocity issues, I suggested that as a possible cause. I went home and found the article, intending to share, but when I read it again, I noticed some things that actually made me question the results. What Did I Test and Why? I tried to reproduce the ~20 ft/s muzzle velocity spread, which the SnipersHide article & video had suggested would result from changes in recoil management. I thought the experiment he shared was interesting, but it lacked conclusive evidence. To account for this, I measured chamber pressure and the acceleration of the rifle itself in addition to muzzle velocity. I doubled the sample sized by firing 10 rounds each with two extremely different recoil management techniques; a preloaded bipod, like the article demonstrated and free-recoil, popular among F-Class and Benchrest competitors. I published all of the raw data and provided some charts in the full Ammolytics article to make the information easier to understand. There are many factors that can affect muzzle velocity, but I didn’t conclude that recoil management technique to be one of them. 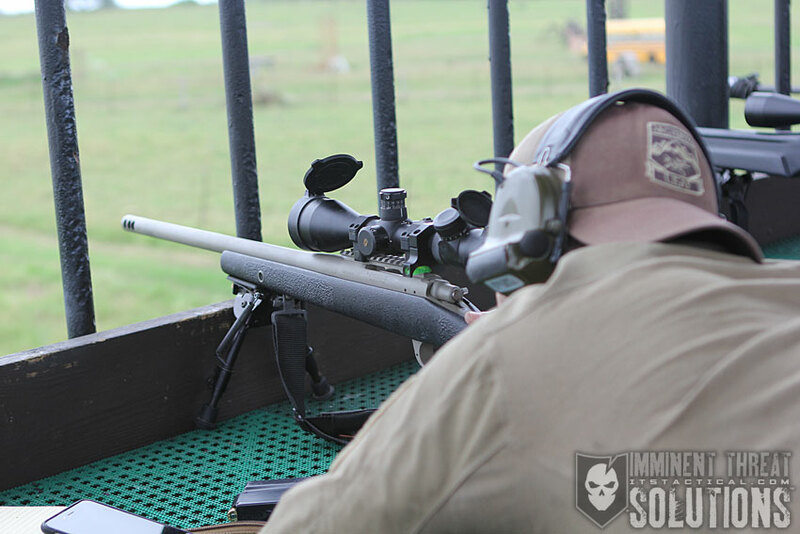 The data collected from my experiment demonstrated consistent chamber pressures and consistent muzzle velocities, regardless of how the rifle was allowed to move under recoil. I was able to conclude that slower average muzzle velocities fired with a certain technique were slower by coincidence rather than causation. There were two slow rounds fired when I held the rifle firmly with a preloaded bipod, but I believe that had more to do with my reloading practices than anything else. Finally, with a bit of math I was able to calculate that the bullet was already 23 feet down range by the time the rifle started to experience the effects of recoil. 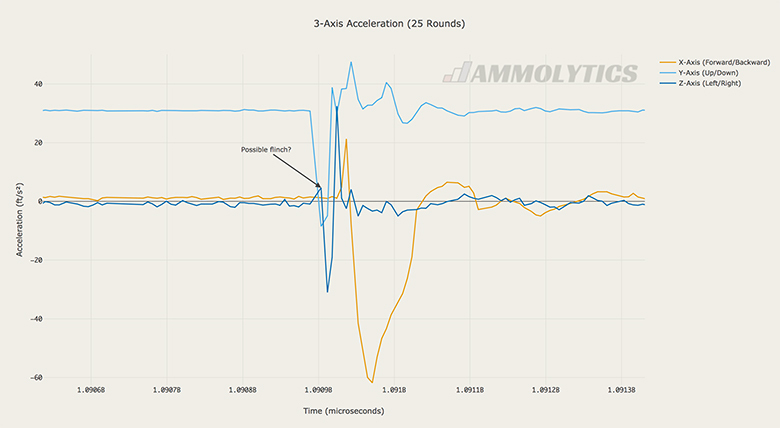 How Did I Measure Rifle Acceleration? 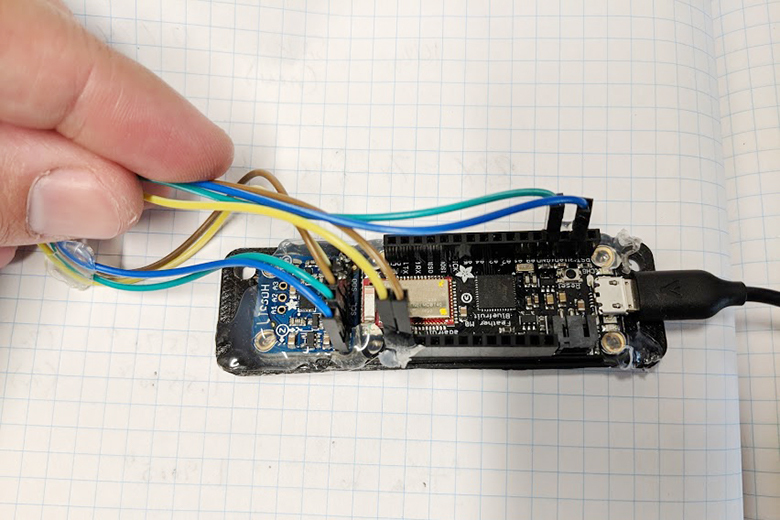 Using less than $50 of off-the-shelf components, I was able to construct a 3-axis accelerometer system capable of taking samples every 6 milliseconds. I’m a strong believer in open-source projects, so I made the code publicly available and instructions on how to build your own. This has already paid off as one contributor has helped me to make the system nearly 6 times faster. It’s cost-effective, but that’s not the only or even the best reason. 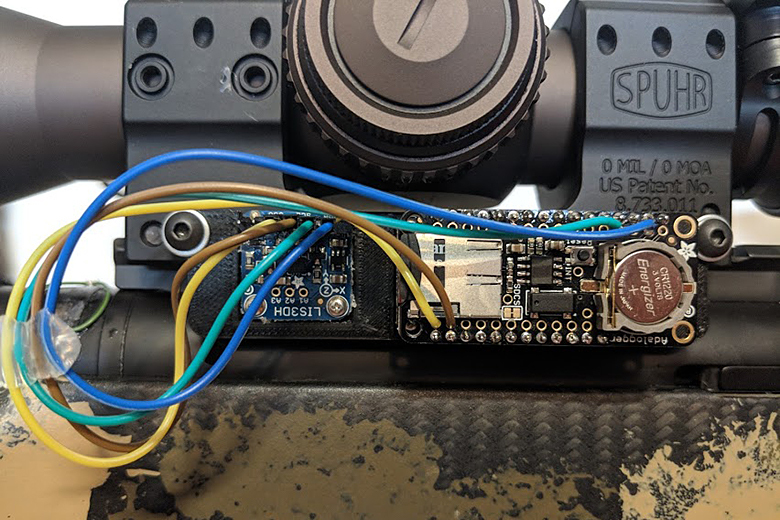 Open source and Maker-focused components remove the limitations and make it possible for you to tinker and hack away, to customize it to your own needs. You can change its shape and even how it works. If you change your mind, you have parts to build other cool projects! I read a study once that 50% of people hate statistics. Just kidding, it’s probably more like 90%. Now that I have your attention, I want to share with you a few rules-of-thumb for getting the most out of your rifle, ammo, and chronograph. Variation in muzzle velocity creates vertical dispersion on target. Don’t trust the stats provided by the chronograph. Many of them (including the MagnetoSpeed) drop the decimal instead of rounding correctly (e.g. 2751.9 ft/s becomes 2751 ft/s when it should be 2752 ft/s). Do the math and see for yourself. Use the Median velocity in your ballistic calculators. It provides a more accurate representation of the “middle” of your velocity spread than the average. 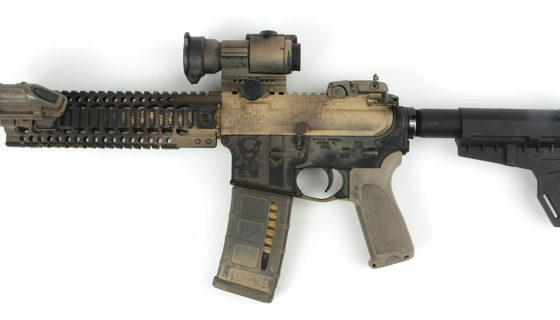 The more precise your ammunition is, the closer the Mean will be to the Median. Results should be reproducible. In this case, I was not only unable to reproduce the same results, but I believe I was able to demonstrate why they couldn’t be. I realize that not everyone has the time or resources to conduct the type of experiment I performed here. I strongly believe that transparency is crucial, to provide all available information so that if someone wishes, they can reproduce any part of my experiments without guessing. I learned a lot of things from this particular experiment and I came away from it with an even greater sense of curiosity that will guide my future work. One of the worst things someone can do is learn something new and then keep it to themselves or try to create barriers around it. There’s a sense of know-it-all-ism in some online communities that can be abrasive and toxic. This creates a major disincentive to folks who might otherwise wish to learn and share with others that have similar interests. I try to keep an open mind with all of my research. If I’m researching a topic, it’s because I don’t know the answer, or I’m dissatisfied with the available information. Something else to keep in mind is that even hand-loaded, benchrest competition ammunition has variation. Two components that reloaders have little control over are powder and primers. The fewer variables you control in your ammo, the more muzzle velocity variation you should expect. Sample size is a tricky thing. 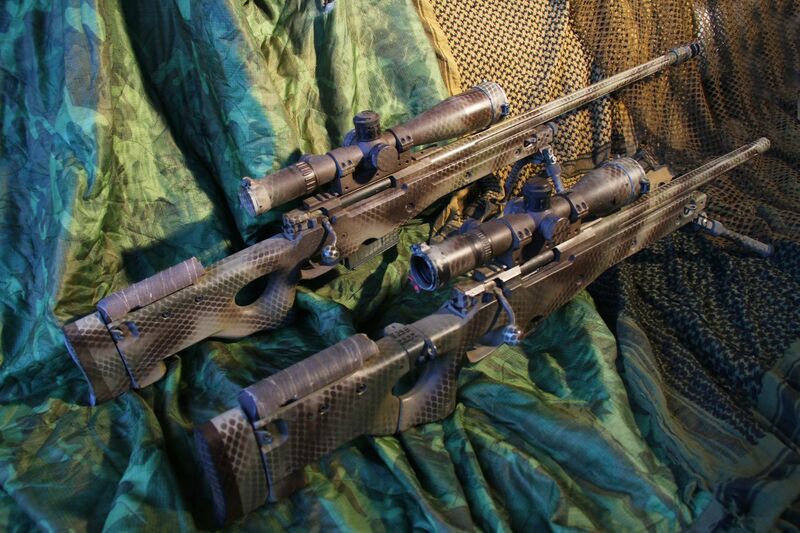 The absolute minimum I would consider for a precision rifle is 10 rounds. If you’re an experienced handloader, you’ve been working on tweaking the same load and have consistent results, so you can get away with fewer (say, 5) rounds. If you’re a competitive F-Class marksman, for example, you might fire 25-50 rounds in a match. 10 rounds is an adequate sample size for that batch. Finally, always use the same batch and charge of powder, same batch of primers, same dimensions of brass (sorted) and same batch of sorted bullets. Same, same, same. Be sure to read the full post published on Ammolytics for even more information, including detailed charts and Beautiful Mind-level math! Editor-in-Chief’s Note: Eric Higgins created Ammolytics out of his passion for statistics, computer-science, marksmanship, physics and education. He grew up in Ohio around firearms and caught the shooting bug after watching his uncle compete with an M1 Garand. Additionally, Eric founded Brindle Consulting, which provides independent security consulting.